Anastasia Beverly Hills Custom Contour Palette | Gemma Etc. I think it’s safe to say, 2015 was the year of the contour kit with so many brands coming out with their own interpretation of a contour kit. 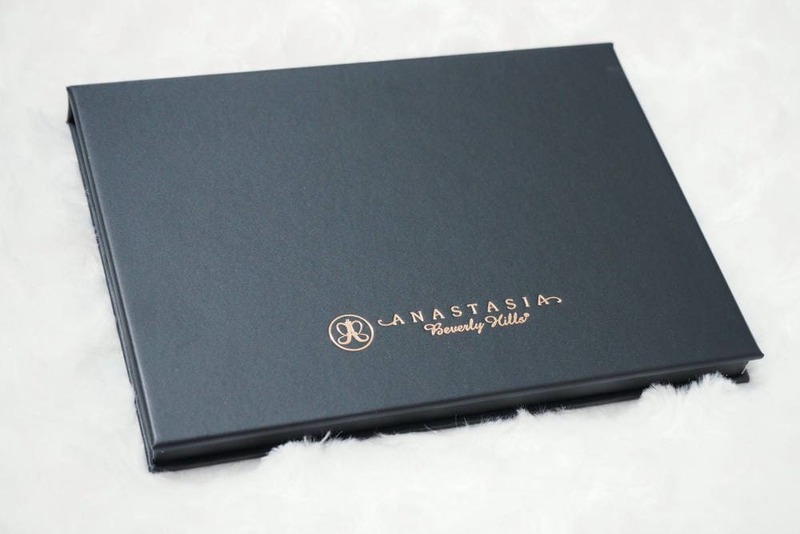 The palette which was one of the first available is the Anastasia Beverly Hills Contour Palette (which is now called the Light to Medium Kit) which I ordered online, but when it arrived I could tell the shades were too dark for me without even swatching them so I gave it to a friend. 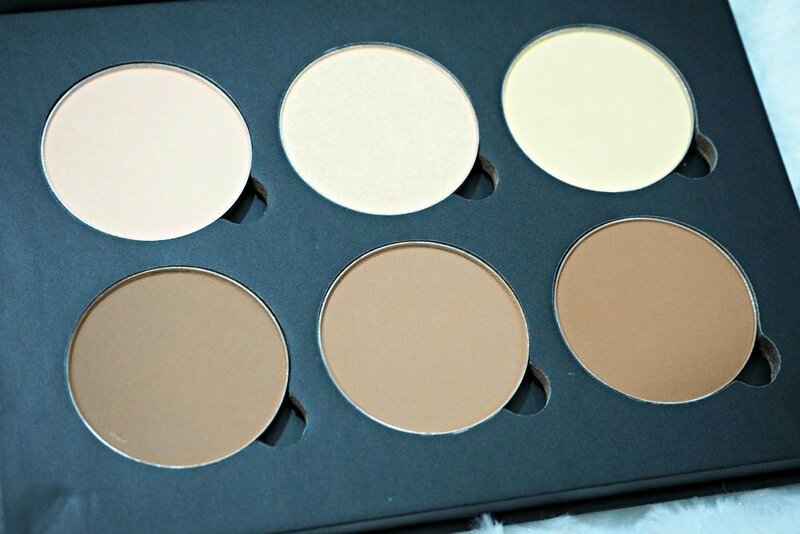 Instead, I decided to create my very own Anastasia Beverly Hills Custom Contour Palette on their website so I could choose the palest shades available in the hope that they’d match my super pale skintone. The Anastasia Beverly Hills Custom Contour Palette cost me $40/£28 to make as I purchased six pans, and they give you the six well palette free. If you purchase the pans individually, they are $14 each so six pans would cost you $84 so you really do get an amazing deal by purchasing them through the website. 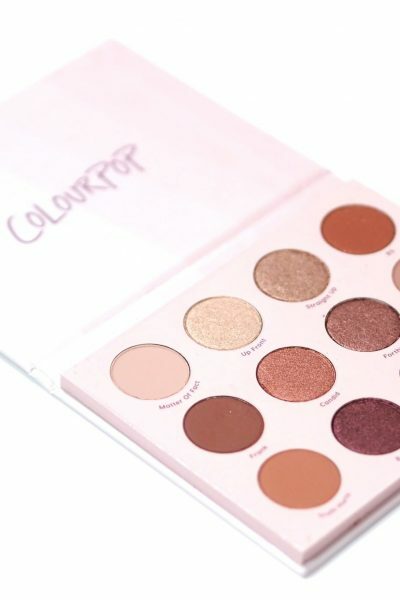 International shipping is $17.95/£12.60 so in total the palette costs $57.95/£40.68 which I think is a great price, but just as an heads up, I was stung by customs and had to pay a £20 charge so it ended up costing me £60 but you can purchase the pans individually here in the UK from Cult Beauty but they are £14 each and you don’t get a free palette either, so six pans is £84 which is crazy money! 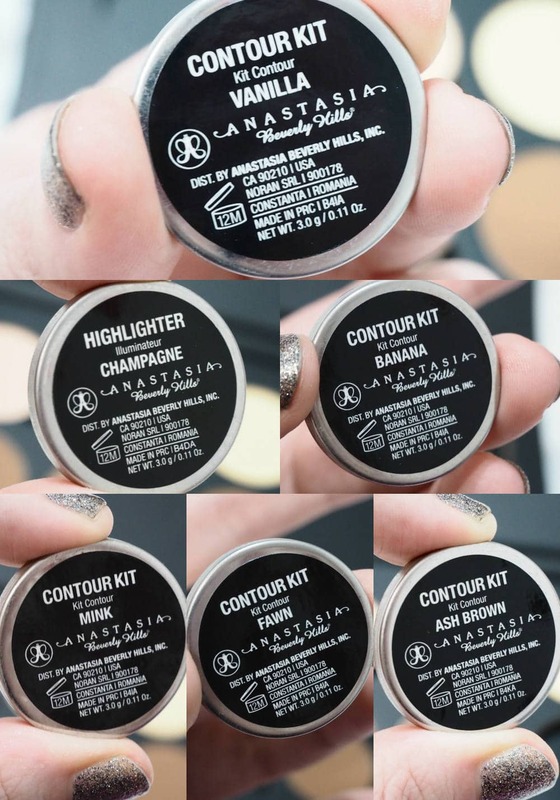 I chose three highlight shades and three contour shades within my Anastasia Beverly Hills Custom Contour Palette, and opted for the palest shades available and in all honesty, they’re not particularly pale but maybe one day they’ll create some genuinely pale contour shades, like they have with their Cream Contour Kit in ‘Fair’. The shades I bought are; Vanilla, Champagne, Banana, Mink, Fawn and Ash Brown. Each of the circular pans contains 3 grams of product, and the pans are magnetised so you can keep them in a Z Palette should you wish to. 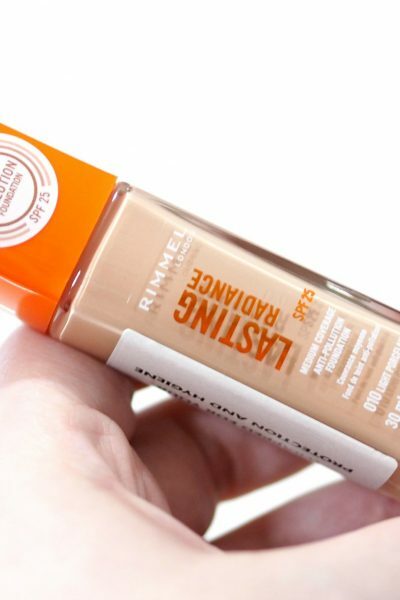 Vanilla – This is designed to be an highlighter shade for use under the eyes, but it’s actually my exact skin colour which is pretty hilarious considering people highlight their skin with this shade. You can barely see it in the swatch as it’s such a perfect match so I’ve been using this shade as an all over setting powder. Champagne – This was the shade I never thought I’d use as it looked so chunky and gritty in the photos I’ve seen online but it’s actually my favourite shade from the whole palette. 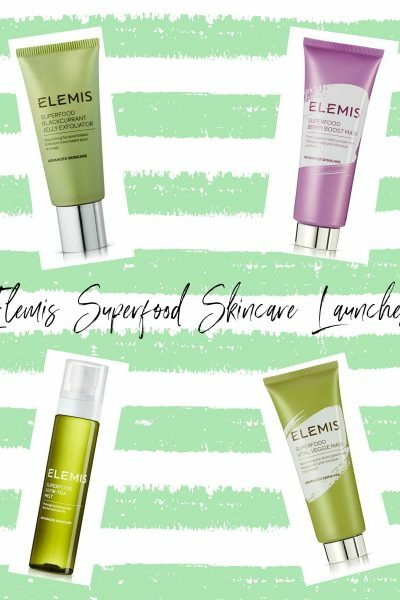 It’s the most beautiful, subtle highlighter which imparts a sheen rather than shimmer and it’s just so pretty and perfect for everyday. I also really like using this as my inner corner highlight, and brow bone highlight as it has a very subtle pink undertone which works well with my skintone. 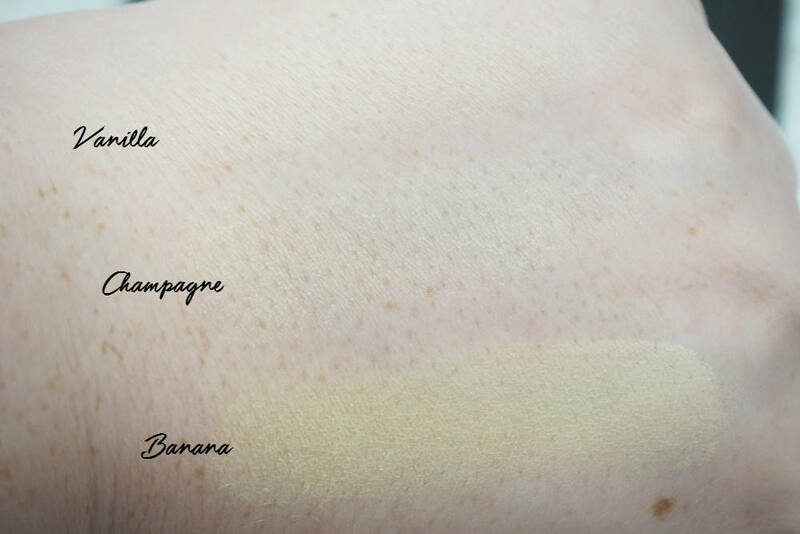 Banana – It’s a yellow toned powder, which can be used to brighten the eye area. I have to use this very sparingly or it can make me look like I’ve got jaundice so I tend to use a stippling brush for a very light application. This is my least favourite shade from the highlight shades but it’s handy to own. Mink – Neutral in tone.. it can look a little muddy on my cool undertone. 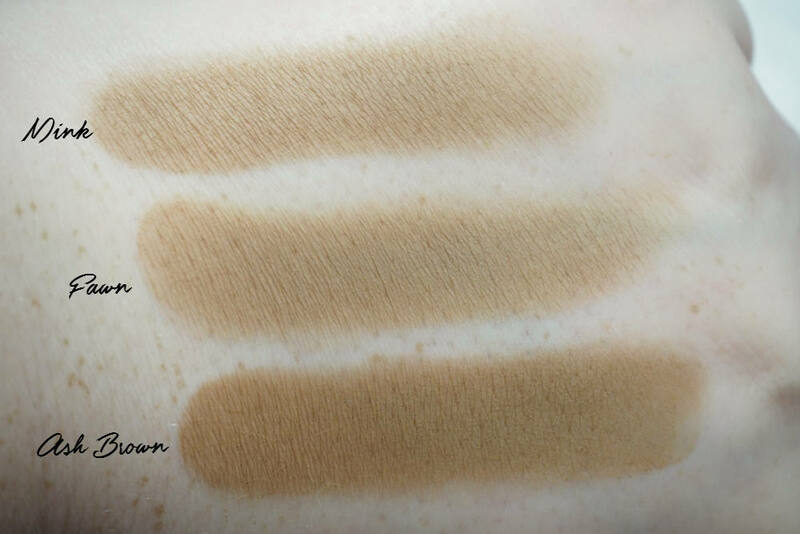 Fawn – Is slightly cooler than Mink and Ash Brown and is the shade which works the best for my skintone. Ash Brown – Is a pretty dark shade considering it’s supposed to be one of the lightest, and I just can’t pull it off sadly.